How Do You Use Your...Traveler’s* Notebook? 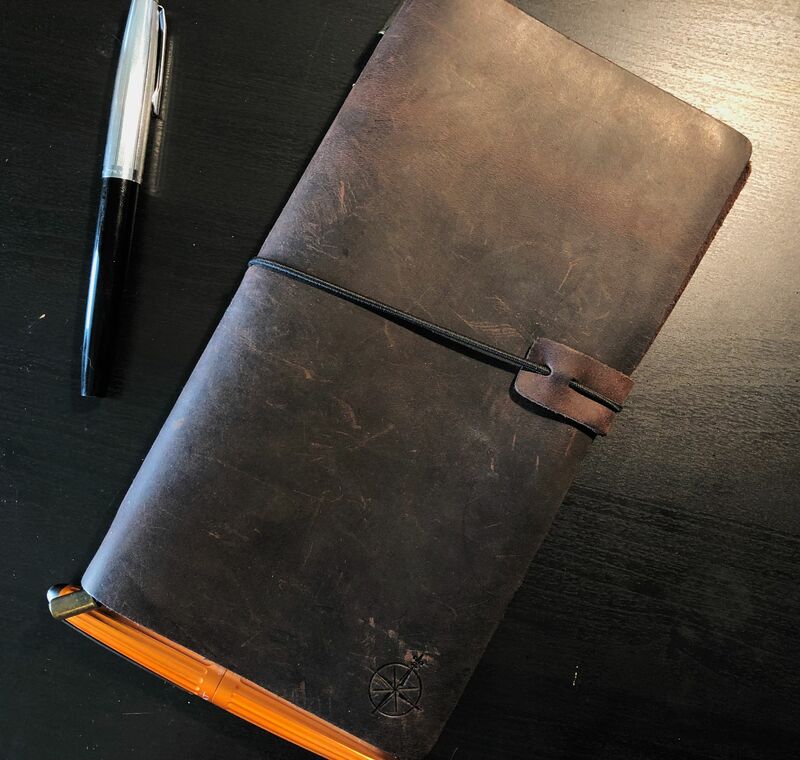 Anyone who has spent some time down the stationery rabbit hole will immediately recognize the Wanderings Notebook as a...let’s call it Traveler’s Notebook inspired product. A few years ago, my dad sent me the Wanderings Notebook, but it took quite some time before I could figure out how it fit into my life. I find the tall and skinny paper format to be a little awkward for my more spread out writing style, and despite trying a few different refills, I couldn’t seem to make it work for me. Traveler’s size just doesn’t work for something that I use regularly. 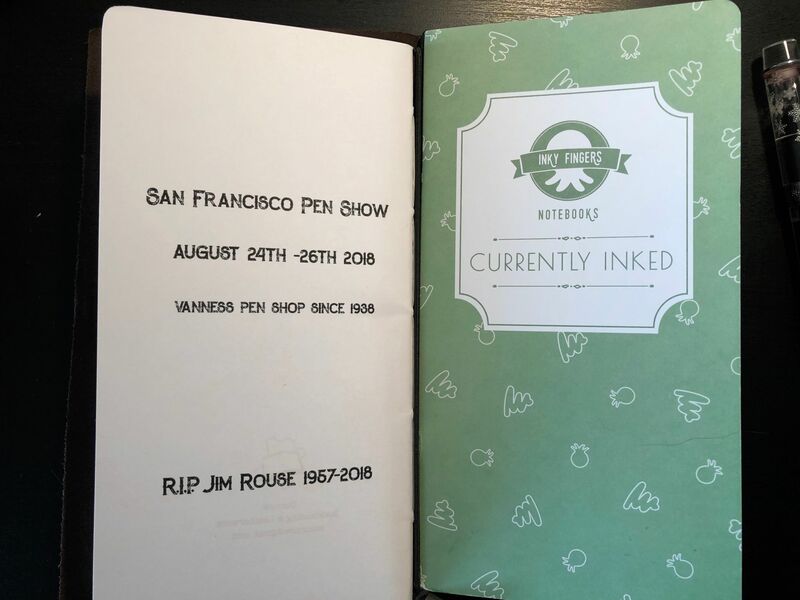 The notebook idea is simple: a box with labeled lines for what pen, ink, nib, when it was inked and cleaned, and a space for a swatch of ink. All of that printed on the nice wheat straw paper that Matt uses for his notebooks. 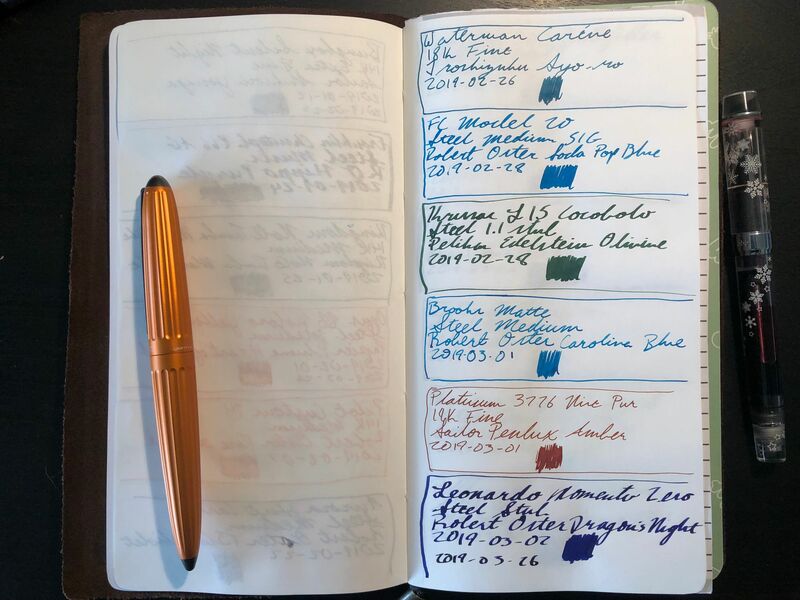 So, that’s what I do: I use it to track what pens I have inked (too many) and how long they’ve been inked (too long). And for a long time, that was all I had in the nice cover of the Wanderings Notebook. A few months ago, I was inspired by Mike from Inkedependence to add a blank Tomoe River notebook by Curnow from Vanness Pens so that I could also have a comparison of what a combo looked like on the paper I now use most often. 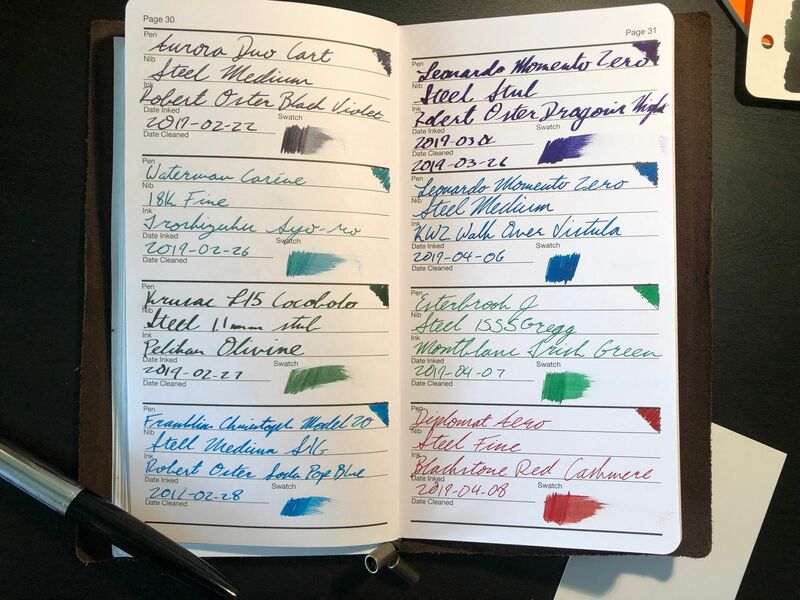 At first glance, it seems a bit silly to have a two notebook system just for keeping track of pens and ink, but it’s nice to be able to look back and see what pens and inks agreed with each other or were troublesome. 52gsm makes me inclined to only use one side of the page, but that's ok. So, my Wanderings Notebook does remarkably little wandering, and instead lives in my desk, ready for the next inking and cleaning days. I keep it folded open under the glass top of my desk so that I get a little splash of color here and there, and a reminder to use my pens. Of course, it’s not a perfect system. Even as I was writing this, I noticed I had pens inked that weren’t in either notebook. Whoops!